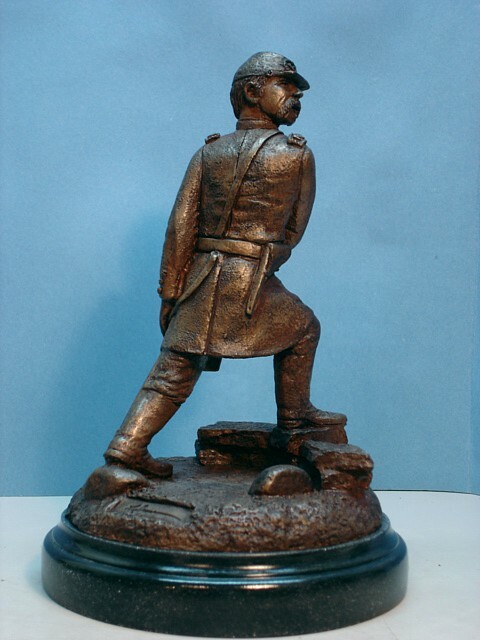 The images below give a 360-degree view of Randy Groves newest sculpture, launched at the 2007 History Meets the Arts Week in Gettysburg, Pennsylvania. 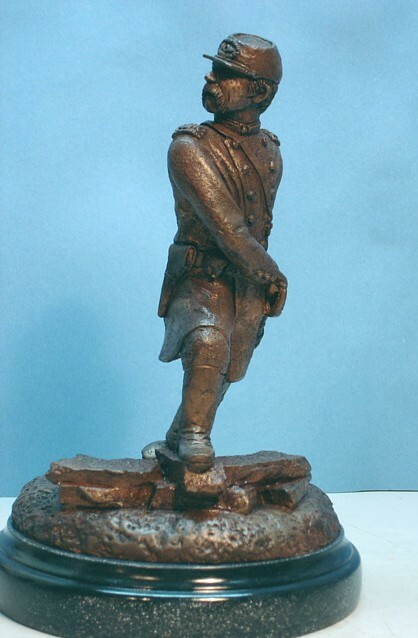 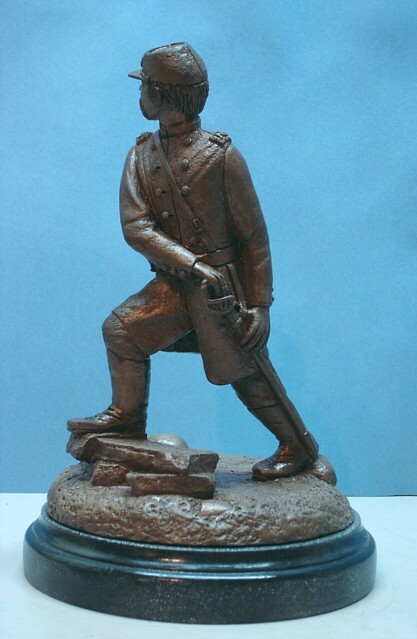 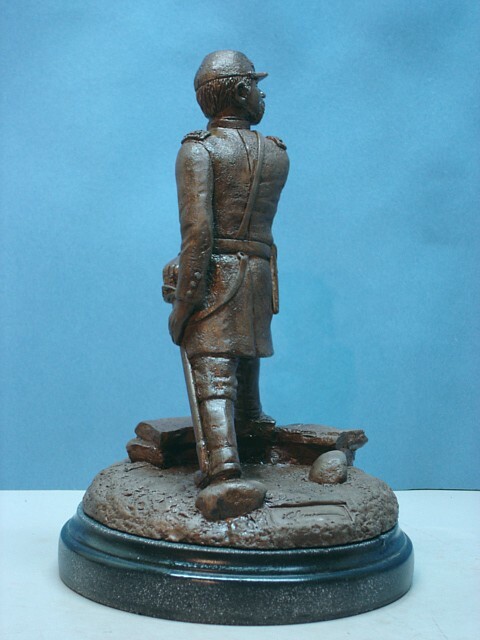 Randy Groves' new sculpture of Colonel Joshua Lawrence Chamberlain has been commissioned by The Gettysburg Frame Shop and Gallery. 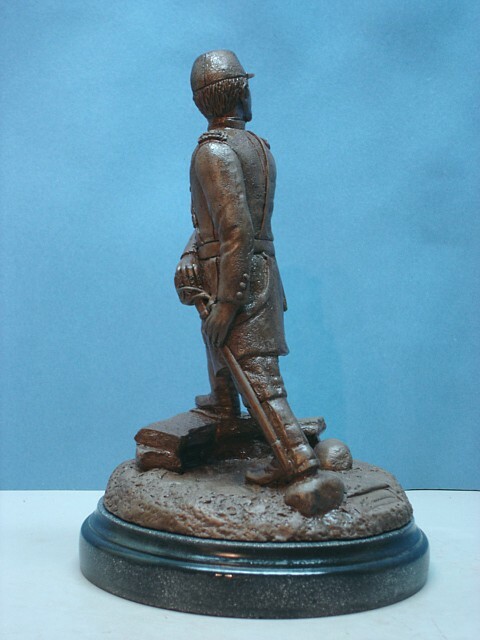 The figure is looking over his shoulder at the men in line beside him giving the order to fix bayonets as he prepares to draw his sword and lead the charge. 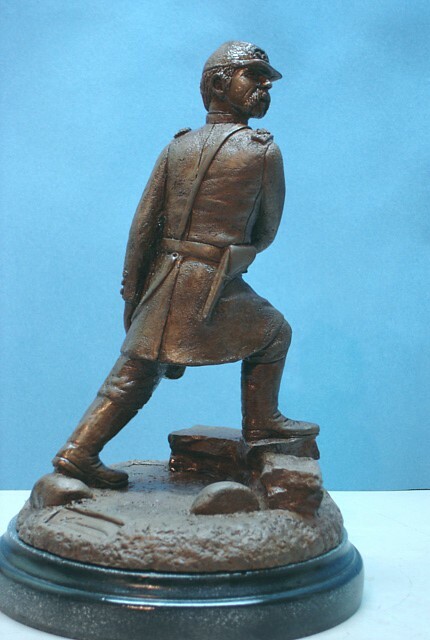 See also fascinating views of the clay maquette in progress.